And why are we doing this? Well, partly just because that’s what we do. Among us will be Rickie Cotter, recently home from riding the length of New Zealand in 12 days, who also happens to be the British 24-hour mountainbike champion. And Gaby Leveridge, a veteran of the Transcontinental who turned pro last year. And Lee Craigie and Anne Ewing, who both represented Scotland in the 2014 Commonwealth Games. And Zara and Jo of Pedal Power, whose tartan lycra I watched storming ahead of me in January’s Strathpuffer mountainbike race. And, er, me. We are all, in our various ways, hooked on long-distance cycling, and this struck us as a very good way to spend a weekend. We realized that it’s important how you inspire people. It’s no good portraying a gang of muscular heroes confidently overcoming every obstacle. As I’ve discovered writing this blog over the years, people relate to you a lot more when you show them your doubts and fears, your weaknesses and failures – as well as the glow of triumph and faint disbelief when you get to the end of a journey you never thought you’d complete, and scale heights you never thought you’d reach. So as The Adventure Syndicate we’ll be sharing our adventures on our website as they take place – and showing you how it works from the inside: the fear and boredom and doubt and mild discomfort that run alongside the power and the beauty. And on the North Coast 500 ride we’ll be sharing the journey as we go. Just like I did in the Transcontinental, we’ll be carrying a tracker, so you can see exactly where we are, work out how fast (or slow) we’re going, and tweet your own live commentary when we take a wrong turn and end up lost in the Highlands (that won’t happen). You can follow us on Facebook, Twitter and Instagram. And you can follow us in real life too. Because one of the founding principles of The Adventure Syndicate is that, as well as inspiring people and showing them the reality of our adventures, we’ll be working hands-on to help them take on their own challenges – whatever those might be. So, starting this autumn, we’ll be running a series of talks, workshops, training camps and get-togethers, where we can actually meet people, figure out what obstacles are standing in their way, and work together to overcome them. 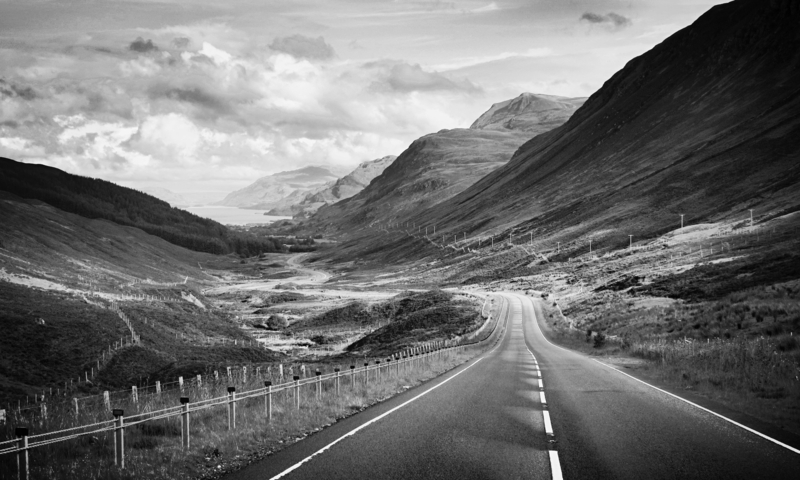 And on the North Coast 500…? You can literally follow us. All the way, if you like, though if you’re that strong a rider, we’d appreciate you taking a turn up front. But if you live along the route, or fancy a weekend in Scotland, get on your bike and come and ride with us for a while. We’ll be aiming for an average speed of around 13mph, which will be hard for us to keep up all weekend, but perfectly reasonable for a couple of hours of your Saturday afternoon or Sunday morning. 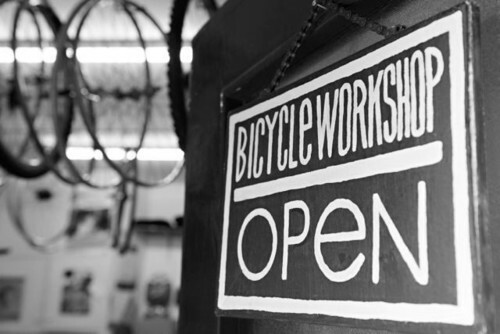 Bring your friends, bring your family, bring your local cycling club. If you don’t fancy cycling, come and throw jelly babies at us from the side of the road, or give us a toot if you see us from your car. We’ll be aiming to get back to Inverness before 6pm on Sunday the 15th May. Come and witness us slumped in the corner of Velocity Café and Bicycle Workshop, dribbling into our tea – or, better still, intercept us somewhere on the A9 and help swell the ranks for the grand arrival into Inverness. All are welcome, for 1 mile or 100. We’re looking forward to meeting you. And in the meantime? Well, there’s a lot of work to be done. The logistics of getting seven women and their bicycles around the perimeter of Northern Scotland, and keeping them reasonably intact, are far more complicated than I expected. (500 miles is a lot of jelly babies.) And we all have our own fears about the ride. Or at least, I have enough fears for all seven of us. This is one of the major things I’ve learned over the last decade or so – you never stop being afraid. In March 2006 I cycled to work for the first time (7 miles), and spent most of the preceding night unable to sleep, anxiously scanning a TFL cycling map, over and over and again. In October 2009 I worked my first day as a cycle courier, terrified that I would make a mistake, that people would laugh at me, that I would be fired within a few hours. In September 2011 I set off to cycle round the world, feeling stupid and unready, and scared of just about everything there was to be scared of – and you’ll know, from reading this blog, that I had a wonderful time. It does get easier, in the sense that, although the fear never goes away, you come to recognize it as part of the process, and see it as something to be gotten through, rather than an insurmountable obstacle. Last summer, when I told him how frightened I was of the Transcontinental, my father laughed at me. But what if it doesn’t? I didn’t finish the Transcon, after all, even though I proved to be much better at it than I expected. And on the North Coast 500 I’ll be lining up alongside professional cyclists – women who have been doing this a lot longer than me, at a much higher level. What if this time I don’t take the world by storm?